Upgrades the 2015+ F150 to Raptor-spec using OEM suspension and chassis components. Gives the F150 chassis the same comfortable on-road ride and incredible off-road capabilities as the Raptor. Raptor-spec mid-travel suspension is vastly superior to any subframe drop aftermarket lift on the market utilizing stock control arms. 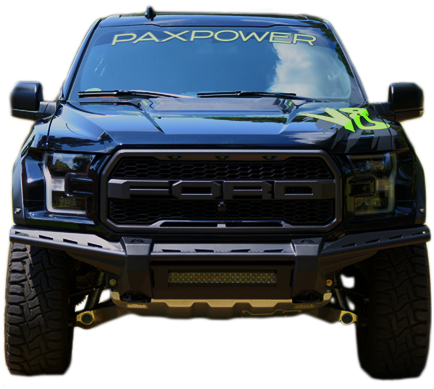 Upgrades the 2015-2017 or 2018+ F150 to Raptor-spec using OEM body, suspension, and chassis components. 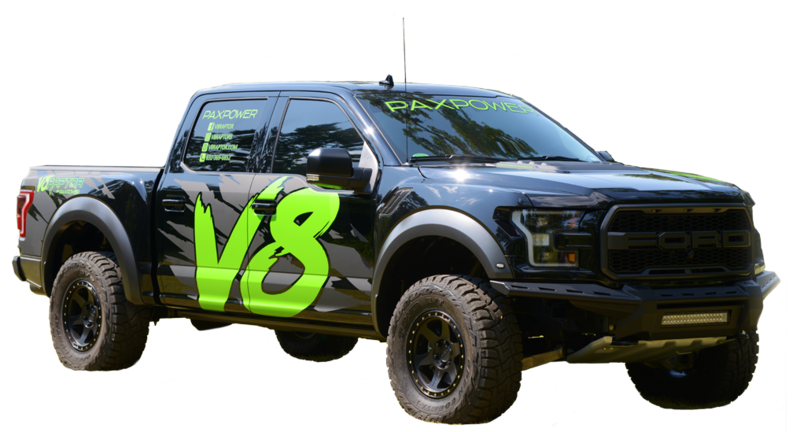 Gives the F150 chassis all the same aggressive looks and incredible capabilities of the Ford Raptor, except with the unrivaled sound and simplicity of an American V8! Extremely labor-intensive body conversion using OEM Raptor fenders, hood, bed sides, grille, fender flares, trim and all the parts needed to make it work! Painted to match your F150 body color or any shade imaginable! Suspension has same comfortable on-road ride and incredible off-road capabilities as the Raptor. Supercharger package for the 2018+ 5.0L F150s with 758hp! Packages also available for 2015-2017 5.0L F150s. Front entry 2.9 liter Whipple twin-screw supercharger that significantly outperforms competitions 2.3L and 2.65L roots-type systems. OEM quick-connect fittings for factory-like appearance. Price includes professional installation, computer calibration, dyno and road testing, and all necessary chemicals and fluids.